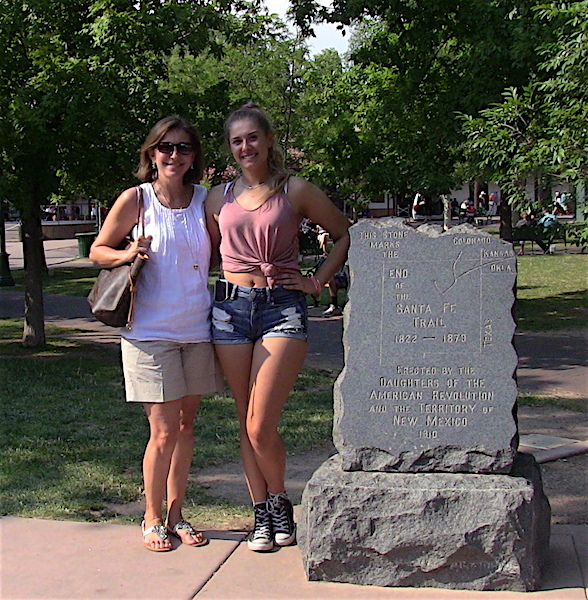 THANKS AGAIN FOR THE HIGHLIGHT OF OUR TRIP TO SANTA FE! My daughter and I had a private tour with Allan. 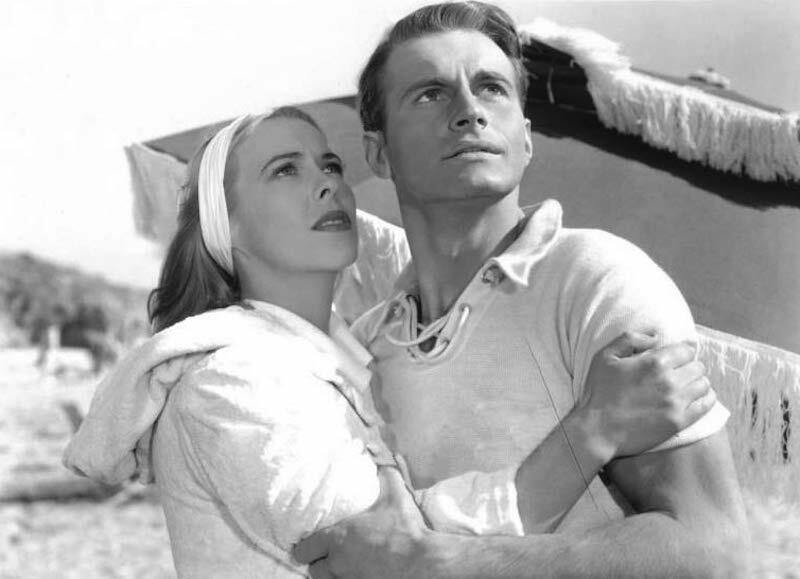 We covered everything from Santa Fe's beginnings to Charles Manson! It was amazing - very interesting! We learned so much from Allan. The tour was truly a highlight of our trip. THANK YOU! 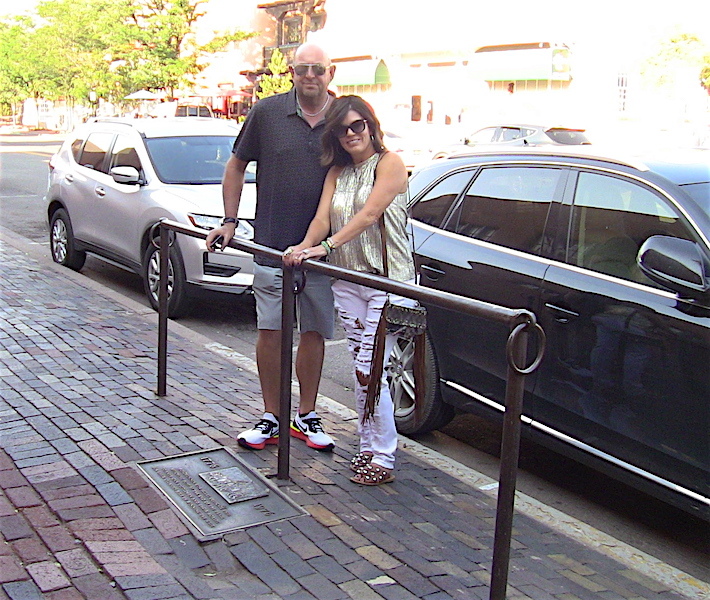 Alan knows Santa Fe, inside and out, old and new, the weird and normal, scary and sad......and we had a blast. Highly recommend. 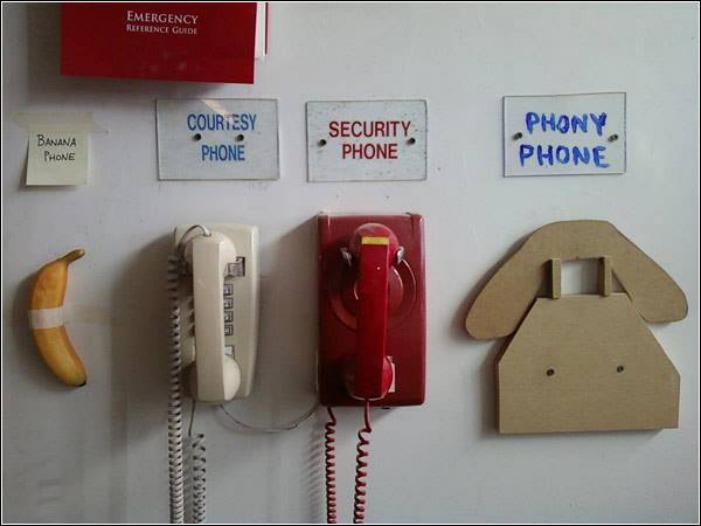 Don’t hesitate to leave him a voice mail as he called us back promptly and the tour was set. Don’t let the idea of a walking tour scare you off. He was so full of valuable history that the 2 hours flew by. He gave us plenty of time to rest or take a pit stop between the stories. 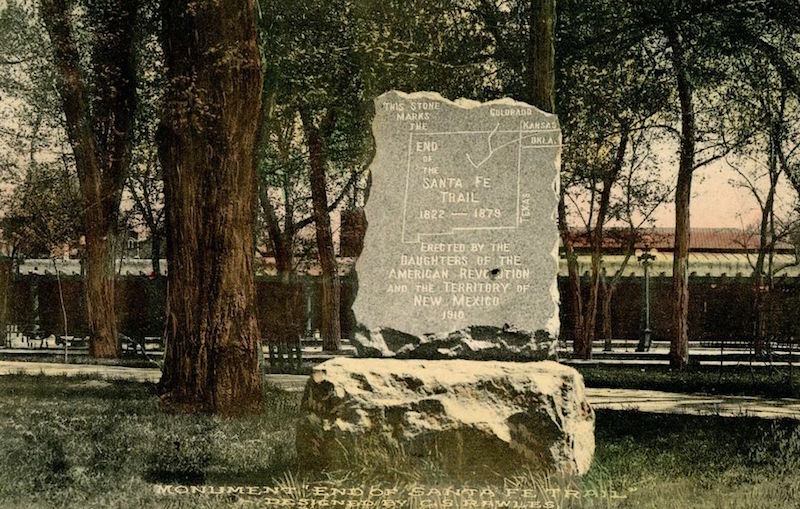 Below: History tour -- the last hitching post in Santa Fe --- on the History Safari you visit the landmarks & get the facts, this is not a (PC) TOUR. History is NOT NOT -- Politically Correct. 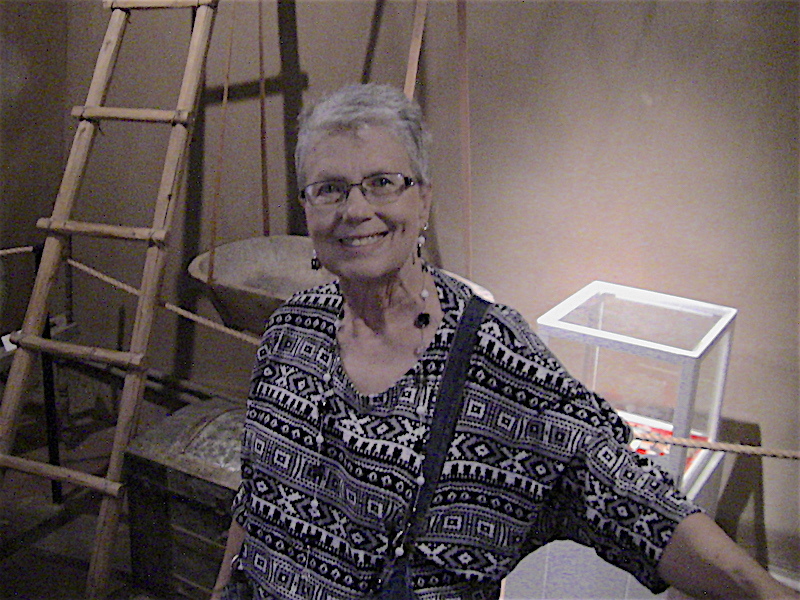 Below: HISTORY TOUR ---- Inside the historic "THE OLDEST HOUSE IN THE USA"... The artifacts at this museum date back to Spanish CONQUISTADOR days... Yes, this building made out of adobe --- during colonial days was a house. 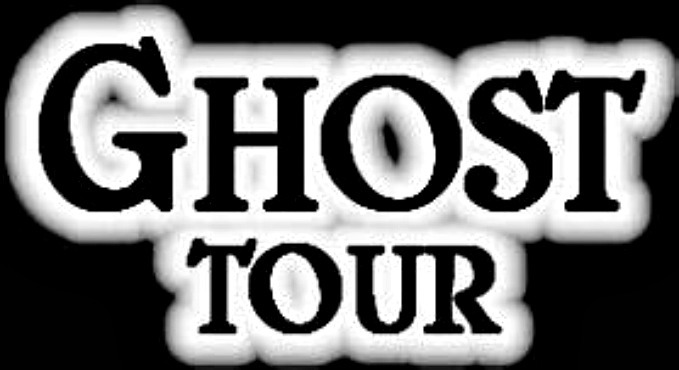 Now the Ghost Tour --- photos/info/ 505-986-5002 --- schedule a private trek. 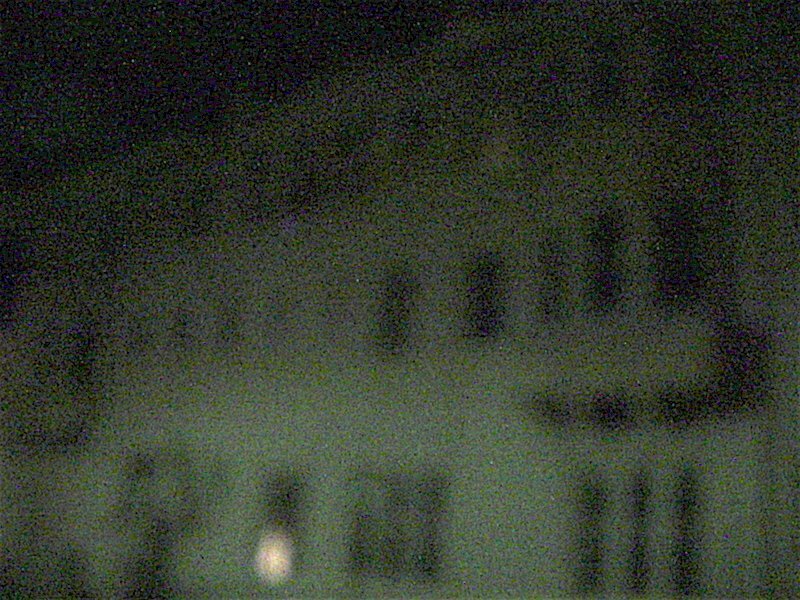 BELOW: On a Ghost Tour in front of the Drury Hotel which used to be the old hospital -- this photo was taken on Allan's ghost trek and later given to him... The photographer thinks he captured orbs on film. 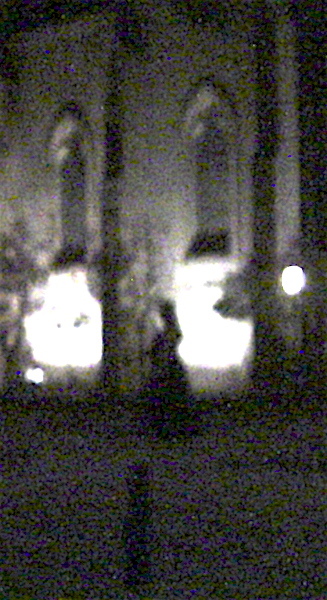 Skeptics dismiss the notion and claim it's a picture through a dirty lens -- you be the judge --- and yes the building is haunted at certain locations, this place has been the scene of many - many - deaths. 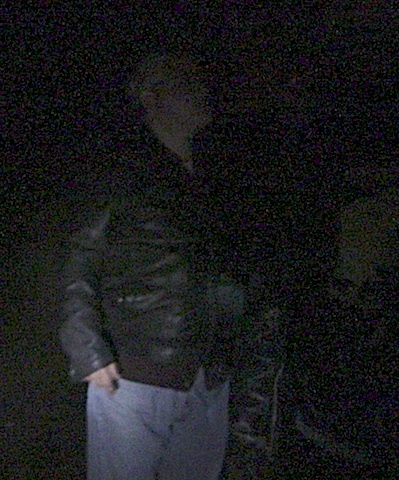 On Allans ghost tours you get ghost tales + data from his investigations. BELOW: IN THE SKY, WHAT IS IT? Santa Fe & the surrounding areas have been the scene of UFO WAVES... 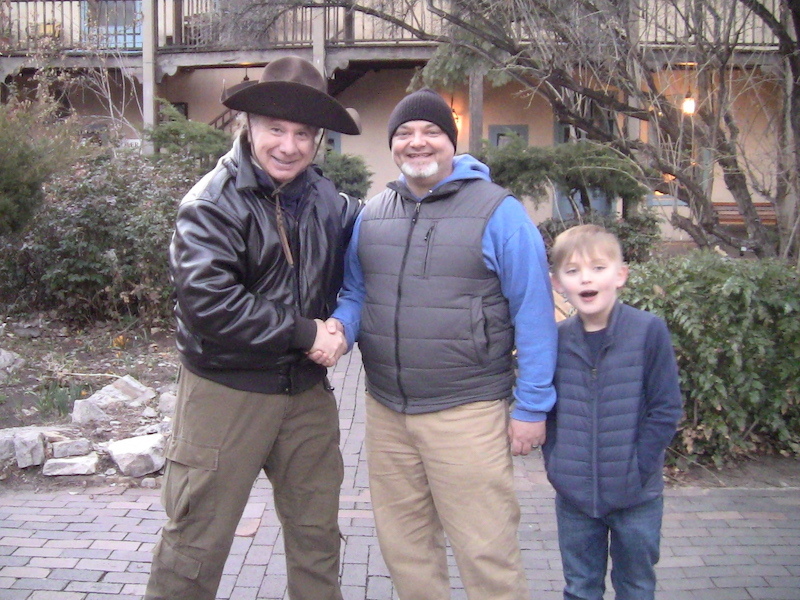 Your tour is a private trek, Al does his best to direct the theme of the tour to your interests, be it UFO, The MISSING or Cattle Mutilation Phenomena. 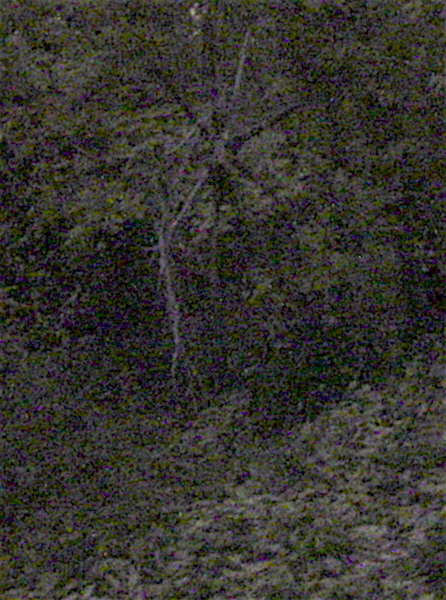 BELOW: On the Blair Witch Path -- what is it -- the WITCH's Wheel? 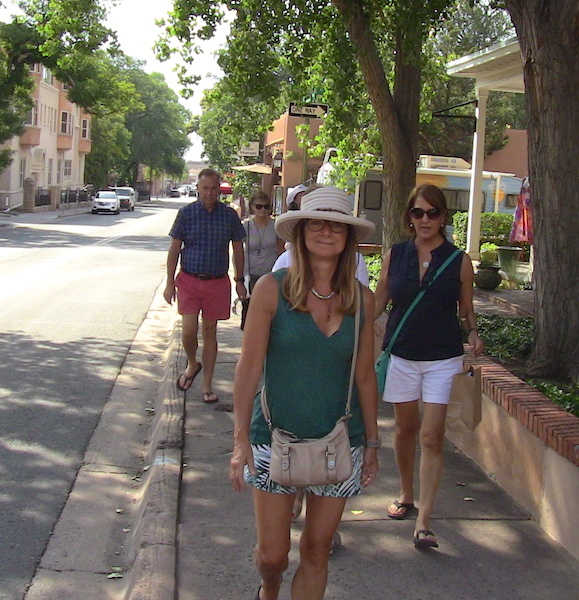 ABOVE Photo-- summer daytime ghost tour -- at times thannnngs from some other realm do visit or make themselves noticed at certain Santa Fe locations. 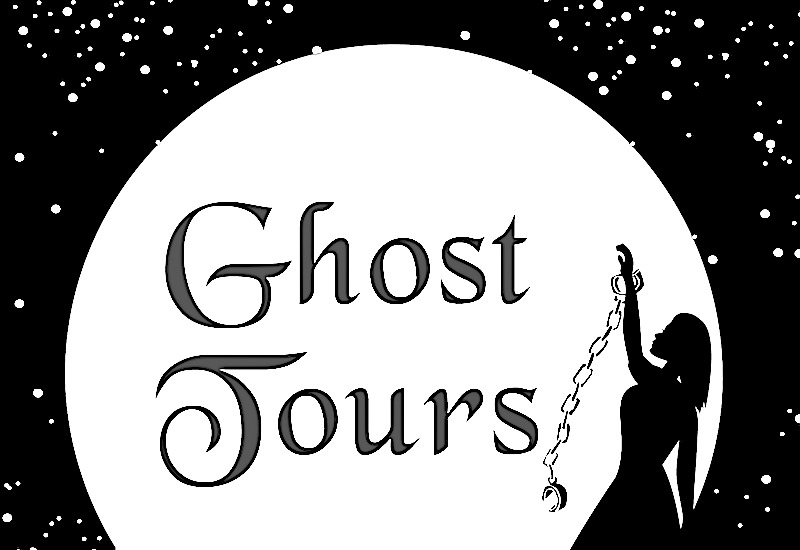 On Allan's tours --- you are encouraged to bring your cameras and ghost gadgets! You never can tell! These two felt, sensed and then briefly saw SOMETHING! As in ghostly something or energy invoked -- NOT FROM THIS WORLD! BELOW--- NIGHT PHOTO -- instruments --- ghost o meters --- at times go off and sometimes in this area batteries are drained or cameras malfunction than come back to working order after leaving this location. 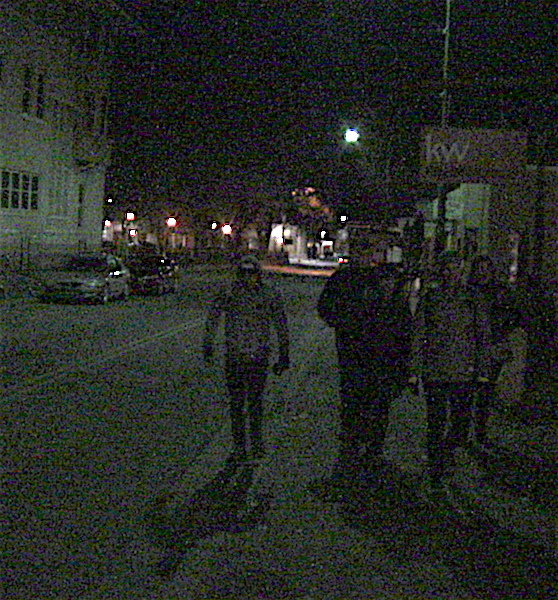 BELOW: Same area GHOST TOUR NIGHT -- something unworldly roams this location -- and something was felt and noticed. Since the days of the CONQUISTADORS this area has had odd energy - bad energy - invokings, and death. Not more than 20-40 yards from this area, Allan knew a fellow who got murdered 40 plus years ago... 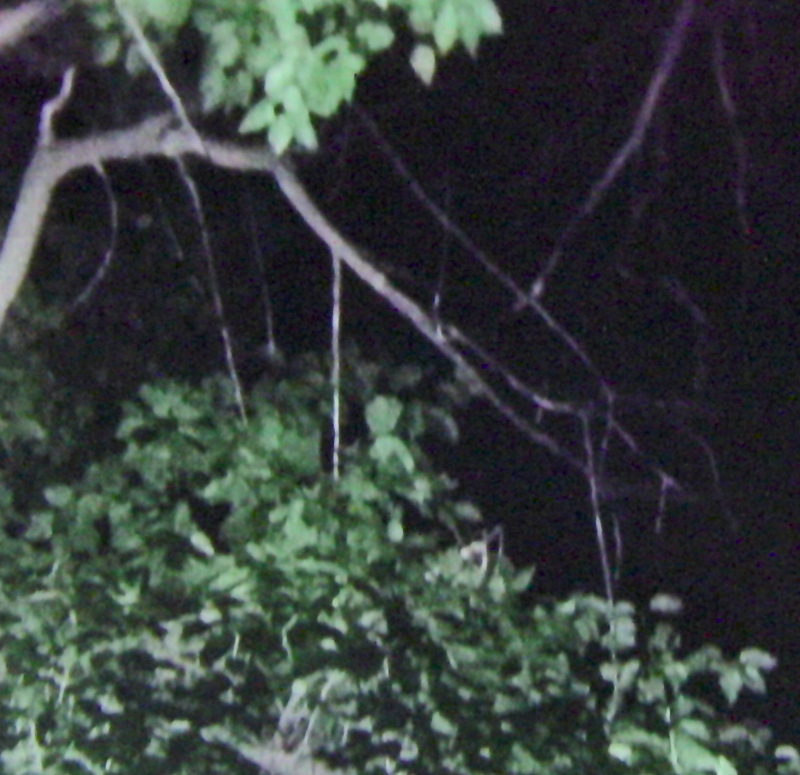 This is one of many bad mojo things that have happened here -- At times - it is rare but it does happen, cameras do not work in this location. Below: Did Allan capture a shade on film, look at the photo -- more on this curious photo --- CARAVAN TO MIDNIGHT page. UFO COMBAT --- CLICK HERE -- E.T. Is NOT -- a friendly little fellow!! !